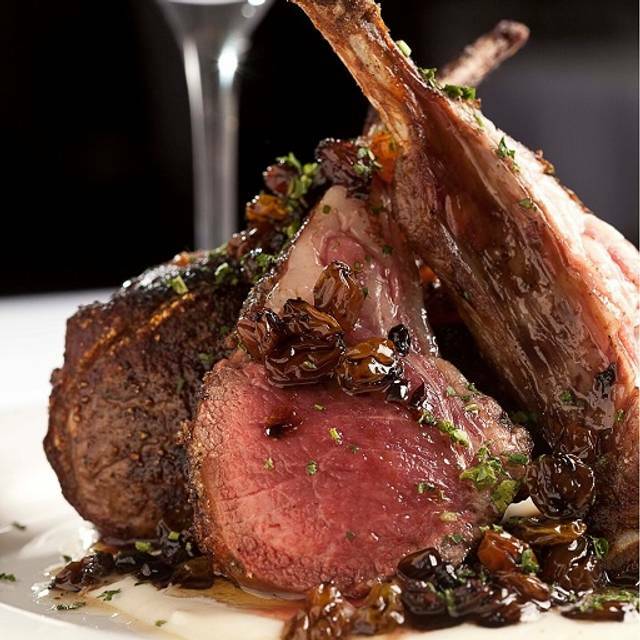 You must make reservations at least 5 minutes in advance of the time at Grace - Fort Worth. Parking Details: Valet service is offered on Main Street. $7 per car. Valet service is offered on Main Street for $7/car. 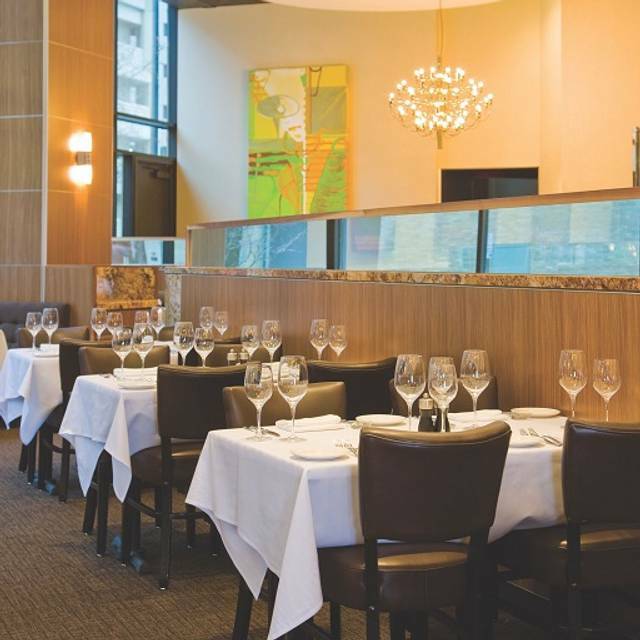 Grace serves Modern American Classics in a sleek, comfortable atmosphere. Our chef created cuisine, our award winning wine list and our state-of-the art audio/visual equipped private rooms make Grace the perfect place to host your next dinner event or meeting. 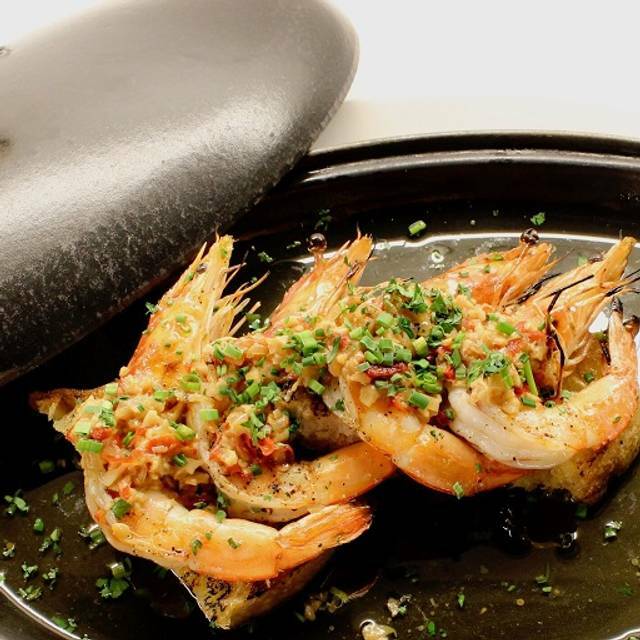 GRACE delivers a dining experience like no other in Fort Worth. 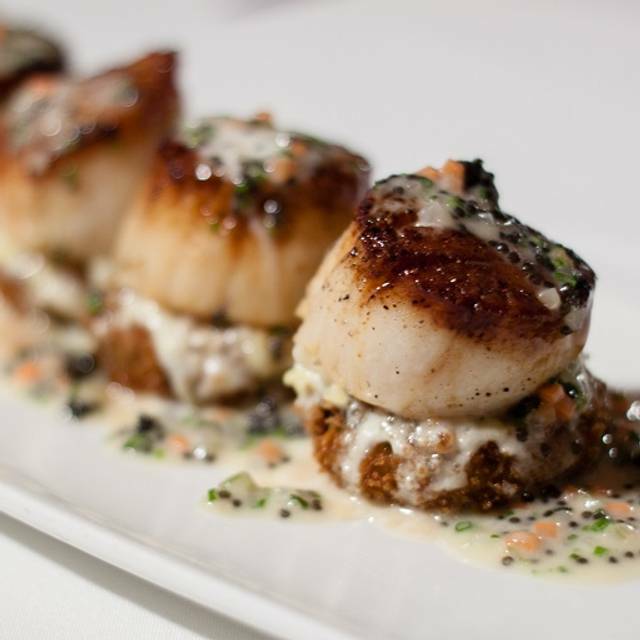 Adam Jones, known as the city’s host for the unparalleled level of hospitality and service in his restaurants, invites you to enjoy Modern American Classic fare, created by award winning Chef Blaine Staniford. 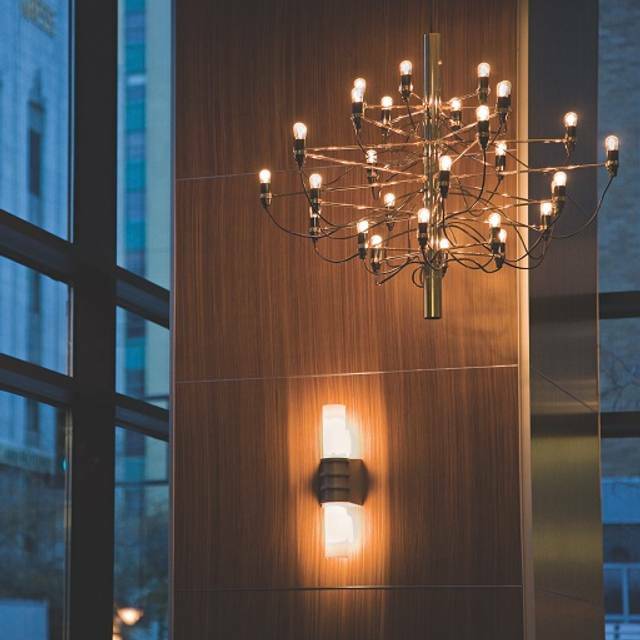 In a comfortable modern setting that embodies the city’s energy, guests can enjoy the outdoor terrace on Main Street and a spectacular bar featuring house made seasonal cocktails with a separate menu for bar snacks. 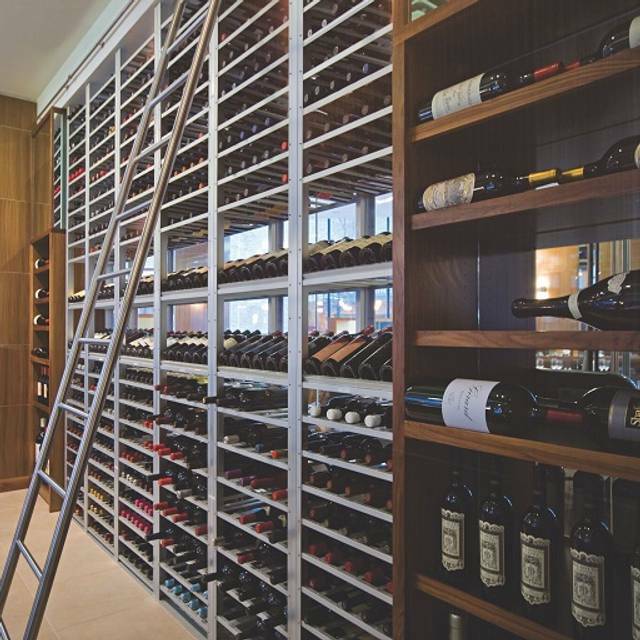 Glass-enclosed temperature controlled wine cellars house a selection of Old and New World wines. For private events four private dining rooms with multimedia capabilities seat 12 to 60 guests. The service was excellent. The food was superb. I had steak while my daughter had steak and scallops. I would highly recommend the carrot cake with cream cheese ice cream for dessert. Excellent experience. Recommend the chef’s tasting menu. Our experience at Grace was amazing! This was our first time here and from the moment you walk in you just know that the service would be impeccable -- which it was. The menu choices were very different and very appealing. In our party of 4 we each got something different and each was very, very good. We'll absolutely be back! The service was impeccable from the moment we walked in all the way to the moment we left. Our waiter was very thorough, he new the menu inside and out. 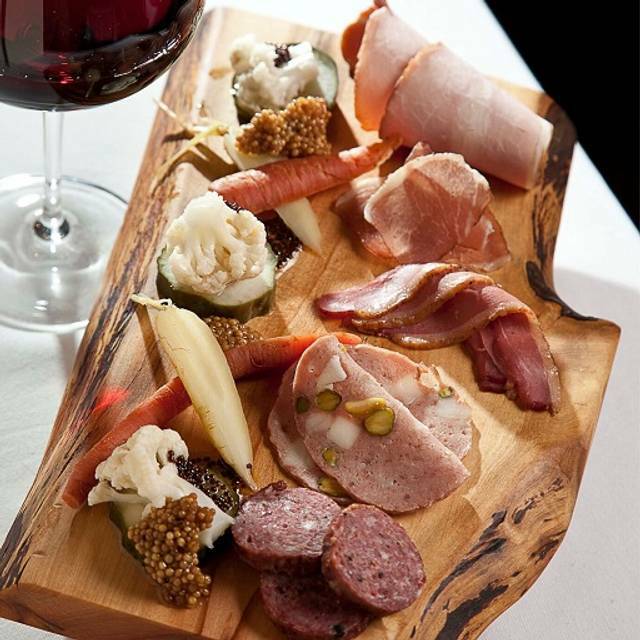 Great recommendations on menu items as well as wine pairings. My daughter and I were celebrating mom’s weekend and aside from the table next to us being absolutely annoying and loud,it was another wonderful evening at Grace. We struggled to be able to have a conversation the people were so loud. Just not as good as Del Frisco’s and some others around it. Best meal of the week by far! Awesome dining experience. We thoroughly enjoyed our waiter, Boston, and the team that worked with him! Great anniversary dinner! Amazing! Would recommend for a nice date night and extremely impressed with the Level 3 sommelier! He was incredible. It is rare to find a level 3 anywhere. Fabulous food, wine, and service. Daniel Miller, the sommelier knowledge is exceptional and he is very personable. The rack of lamb is the best I ever had. Grace never disappoints and our server, Sky, made it a very special evening! Great!! We love the Fried Oysters appetizer...have them every time we are there! Entree selections were varied and delicious! Grace is a treasure for all who enjoy fine dining! Thank you so much Grace for making my husband 50th birthday special! Everything was awesome! It was a Sunday night, so not very busy. Service and food were both amazing. Our service was outstanding! It was the perfect date night and everything we ordered was to brag about. We both loved the “toad in a hole” and our prime cut steaks were made to perfection. The wine list is large, great choices and the prices are right. A friend referred us and it was a great recommendation! It was some of the worst food I’ve ever had. Scallops had sand in them steak was over cooked, my friend had a pepper in the prawns that was way too spicy, the egg in the toad in hole was underdone. The service was sub-par. Would not recommend!!! it was a shame. I debated between Bobs (which I’d already been to) and this place. I very much regret the decision to choose here. Everything was really good and well prepared. Would definitely eat here again. The prime strip was full of gristle and the knife would not cut thru it. For the first time ever, the ribeye was slightly over cooked. We didn’t send it back but wish we had. Otherwise excellent as always. The food, ambiance, and service was excellent, as usual! Our family loves dining at Grace! This the best dining restaurant we have ever experienced. The owner greeted us with a warm welcome when we arrived. The waitress was very helpful with what we ordered. The Lamb was fantastic. Service was great. Food choices were exceptional. Temperatures of the food were decent. Wasn’t impressed by the wine selections or side items available. You need to understand the prices on the menu before you go in. The Chef's tasting menu is pricey, but it's extremely tasty and well orchestrated. Your progressions start fast and slow as you continue. If you're okay splurging on food this is one of the best places I've had in Fort Worth. I wasn't totally sold on the Venison in the last course, but my wife loved it. Taste is subjective so always take that with a grain of salt. A real gym in downtown Fort Worth. Exceptional meal—imaginative, delicious, and generous portions. One of the most memorable Mills I have had in recent memory! Our server, Sky, went above and beyond to make our visit extraordinary. All of her suggestions were top notch and our dishes were wildly delicious. Highly recommend the prawns, lobster and squid ink pasta, and bacon wrapped cipollini onions. Great food, great service. Would defiantly be back. We just celebrated our wedding anniversary at Grace and it was fabulous as always. The restaurant provided us a quiet corner table. Our waiter was attentive and we never felt like we were being rushed along. As always the food was off the charts great. It was well worth the drive to Fort Worth from the north of DFW Airport area. Grace is truly one of our favorite restaurants anywhere...our "go-to" for special celebrations. Thank you Grace for making it a wonderful anniversary! We were there to celebrate our anniversary and were excited to experience Grace. It was reccomend by our son. Michael, our dinner host, was fantastic. We had the Chef's Tasting Menu. He explained what we were to expect. All of the course servers were knowledgeable and explained the dish and any little "hidden" secrets. We do not drink so we did not have the champagne at the beginning of the meal to celebrate but Michael was wonderful and brought the cheese course for a "thank you" & "Congratulations" from the restaurant for making them part of our celebration. I cannot express how wonderful the whole experience was for our special day. We will be returning to do the tasting menu again when it changes. Grace is a lovely restaurant with very good service. The menu is creative and varied. Although the food is beautifully prepared, it's heavy on the butter and sauces and lacks a light touch that inspires great restaurants. Perhaps worth another try. Disappointed for the first time at Grace. I touted the menu and food flavors to my wife, who had never been there. Her beef tartare appetizer should have been called salt tartare. Way over seasoned with the white stuff. And just the opposite for the Silk Snapper. Lacked flavor in the fish and the consommé with not enough seasoning. 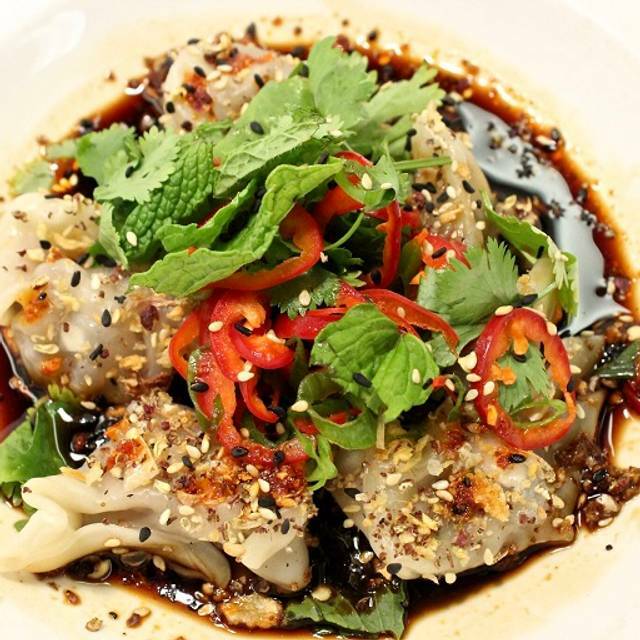 I had the Lamb Belly Dumplings in Black vinegar sauce, which was way too tart and overwhelmed the lamb and pork belly flavors. On a positive note, my sirloin was perfectly cooked and the Toffee Pudding Cake was, as always, off the charts good! Grace is an excellent restaurant. The service is excellent , very nice ambiance and the food is excellent. The squash soup and lamb was fantastic !! It is too notch and I highly recommend it. A classy, "modern," high end bar and restaurant. The food is always fantastic, the service great, and the atmosphere is classy and quiet. A great place for a business dinner or a little romance. It was excellent service!!! The meal was superb!!! We will be back!!! Thank you!!! We were actually pleasantly surprised at how good it was. Have been to many restaurants in the DFW and we’re always let down by taste and quality, even though we pay a hefty price. Excellent! Service was great! Our server was knowledgeable and friendly. Definitely one of my most favorite restaurants. This was our first time at Grace. I was so pleased that we could get right in. We were 20 mins early. The managers greeted us as we walked in and our server Jeremy was the best server I have had in a long time. My husband and I had the Chef's Tasting Menu. Everything was so enjoyable. I can't wait to go back. AS always, Just a wonderful experience. Have been many times and will be back many times in the future. 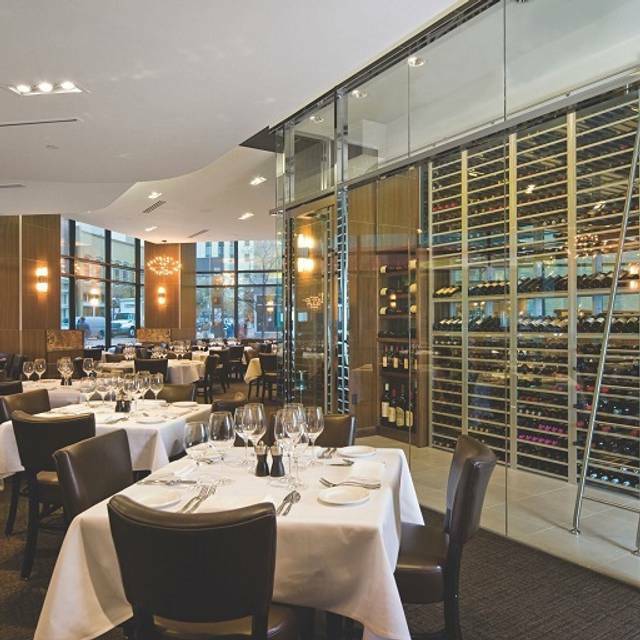 From the bread service to the wine selection, everything at Grace is top notch. The service is exceptional and the food is even better. Everything I ordered was delicious and I can't wait to eat there again.